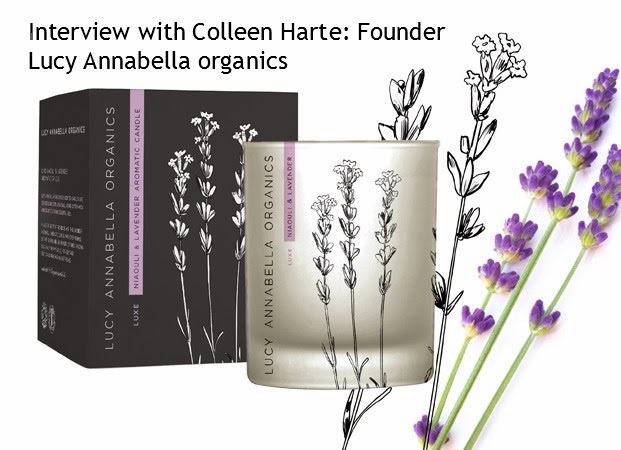 I am really excited today to bring you an interview with Colleen Harte Aromatherapist and founder of Lucy Annabella organics, a beautiful luxury range based in the countryside of Ballygawley, Northern Ireland. These products are simply exquisite and the detail that goes in to them from the packaging to the scents and ingredients makes the experience of the products incredibly special. 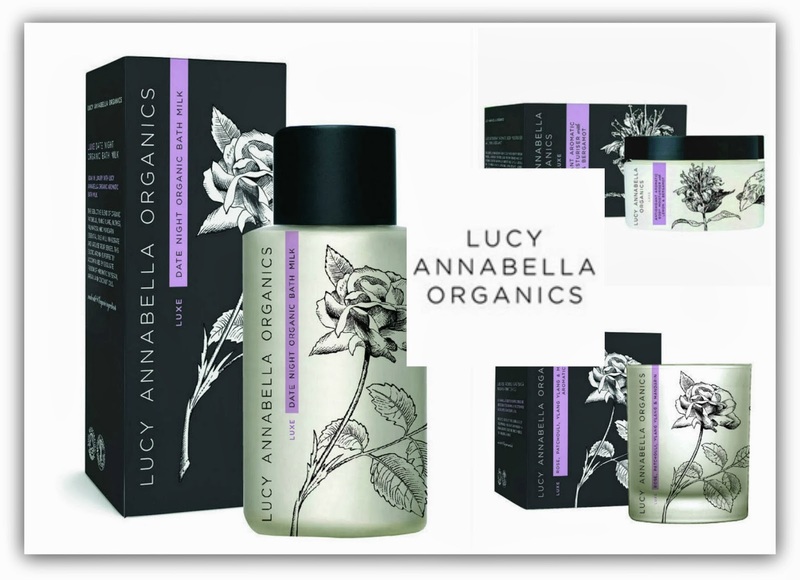 If you are looking for an authentic organic brand that combines style and substance Lucy Annabella is one of my favourites. I was lucky enough to sample the Argan and Bergamot Treatment oil which is a gorgeous and uplifting treat which I highly recommend. Colleen herself made it to number four in the Natural Beauty yearbook “Who’s who” list of Natural beauty which is a fantastic achievement. What inspired you to create Lucy Annabella organics? The story behind Lucy Annabella is very simple! I decided to create the brand when I realised that ‘being organic’ is as much about what we put on our body as what we put into it. 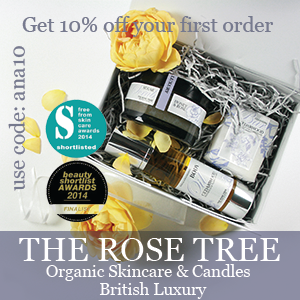 I am a Complementary Therapist and a Clinical Aromatherapist and I have been an organic health enthusiast for years. Through my work I lived by the ethos that ‘Our health is paramount to our happiness’. So in 2011 after travelling all over the world in search of knowledge and the finest ingredients from organically dedicated farmers I felt the time had come to actively combine all aspects of my life’s loves and pursue my passion to formulate and blend beautifully organic ingredients and share them with the world. The beautiful name Lucy Annabella was my sweet grandfather’s fond pet name for me. ‘Lucy Annabella’ has great sentimental attachment for me and it sits close to my heart therefore I knew it was the perfect name for my cosmetics. What do you think set’s Lucy Annabella apart from other organic brands? Organic ingredients are an essential element to the range, what do you think the benefits are of organics? Organic cosmetics take this to a whole new level. 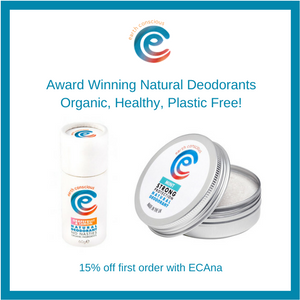 Thorough certification organic cosmetics guarantee that the natural ingredients have not been treated with any harmful chemicals! The certification process, which cosmetics go through, is very rigid and can be trusted. This does not mean that if a product says it is organic it truly is. 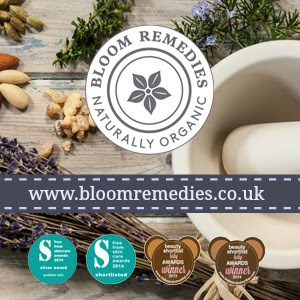 If the packaging says ‘organic’ make sure there is a certification body stamp on the product otherwise you have no assurance that the product is free of harmful chemicals. Certification bodies like the Soil Association, USDA and Eocert are three of the most popular within the cosmetics industry. If you want a product that is 100% organic ensure to read the information on the pack as sometimes the organic percentage within the product is tiny. Misleading claims like this are unfortunately very common. Be aware! Security, you can rest easy that when a company is certified organic they even have their labelling inspected so that all the products claims are true and proven. When you are starting to explore the scary world of chemicals in our daily products its comforting to know that there are so many natural and even better again, organic alternatives out there for us all to use which are not harmful. We are becoming more informed and with that we are being supplied with a healthier option. At Lucy Annabella Organics we always recommend taking the safer, healthier better option. What are your plans for Lucy Annabella in the future? Lucy Annabella’s future is very exciting we have plans to bring out Aromatic Range, Home Range and Mum and Baby Range. The scents in the Lucy Annabella range are exquisite, what inspires you when creating products? Every different scent was inspired by something or someone unique. I have included a few examples below. Spearmint & Lemongrass Aromatic Candle – I created this scent for my sister whilst she was studying for her exams to keep her mind alert and to keep her motivated. Rose, Niaouli & Ylang Ylang Candle – I wanted to create something very sensual with an exotic hint for romantic nights in. Niaouli & Lavender Aromatic Candle – I created this scent to bring me straight back to wonderful Provance this is my emotional connection to the place I learnt my aromatherapy. Bergamot & Palmarosa Aromatic Candle – is a unique blend ideal for the Living Room or Bath Room I wanted it to be relaxing but also unusual. I would like to say a big thank you to Colleen for telling us more about her wonderful range, I can’t wait to see what happens in the future for this amazing brand. You can find Lucy Annabella here.